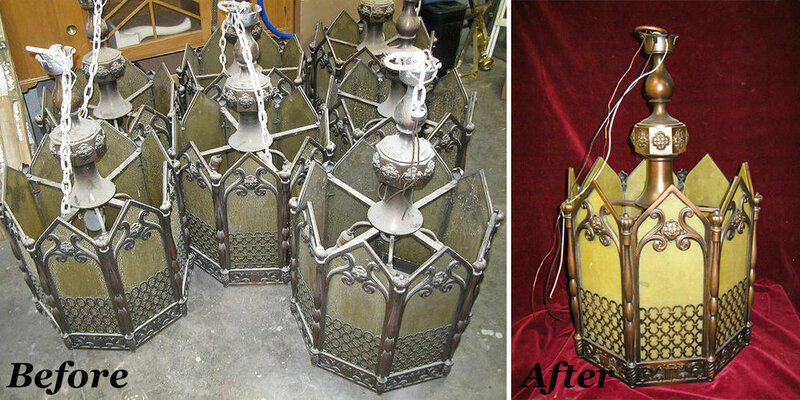 Pam has restored lighting in the Bass Mansion at the University of Saint Francis, countless churches in NW Indiana, and has done custom work for local businesses like Tolon and Fancy & Staple. With more than 20 years of experience under her belt, there is no task too large or small for Pam to conquer. 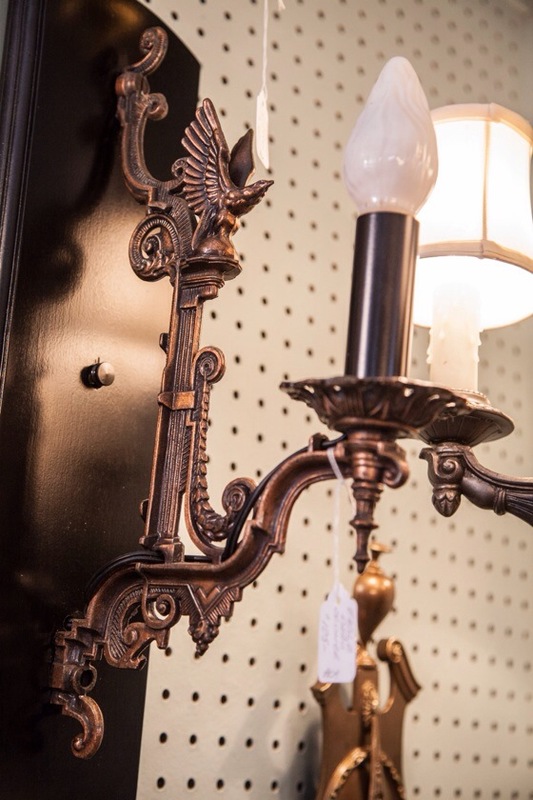 Work can be done to chandeliers, floor & table lamps, sconces, or any kind of hanging light fixture. Missing a part, such as prisms, globes, or shades? Pam has a large stock of light parts, and can even order you the parts you need. Prices for these services vary greatly depending on the extent of the work to be done. For more information, call us at 260-420-5656, or e-mail mercantileonmain@live.com.